Joseph B. Weiner is an associate in the Litigation Group focusing on multifaceted commercial litigation matters. Joe has substantial commercial litigation experience, representing clients in federal and state courts on matters relating to contract disputes, business torts, tax, real estate, and intellectual property. He has managed many phases of a litigation, including taking and defending depositions, drafting briefs, arguing discovery motions, appearing at court conferences, and advising clients on litigation strategies. 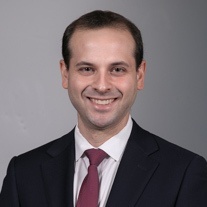 Prior to joining Olshan, Joe was a litigation associate at Katsky Korins LLP.